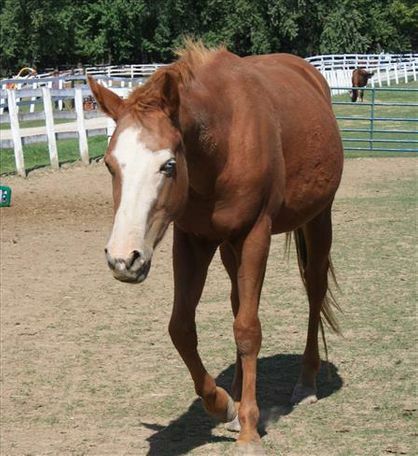 Fleur is a striking 14.2 hand chestnut mare with one blue eye and one brown eye. Fleur knows how to walk, trot, and canter under saddle. She has gone to a few fun shows and loves trail rides! Fleur will test her rider and does need an intermediate rider to keep working with her. 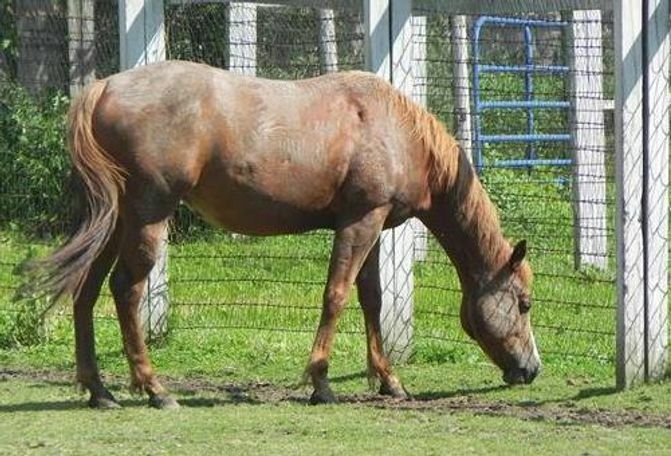 Fluer can also be food aggressive, so it may take her a little longer to settle into a herd. 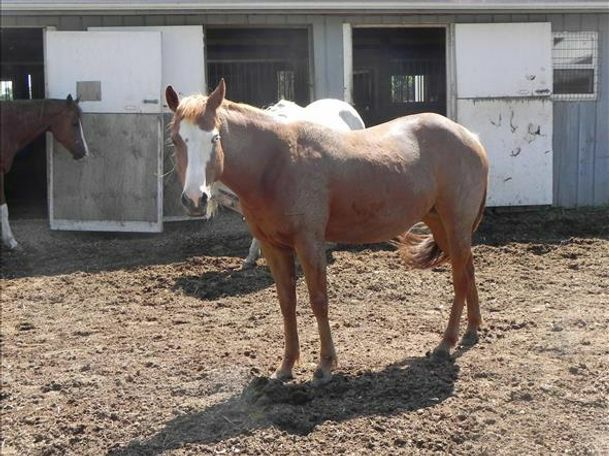 Fleur is a sweet mare that loves people and attention. She is just looking for her forever home! Fleur is currently in foster care.